You are here: Home / Off-White / OFF-WHITE Diagonal Mask in Black,Stripes. 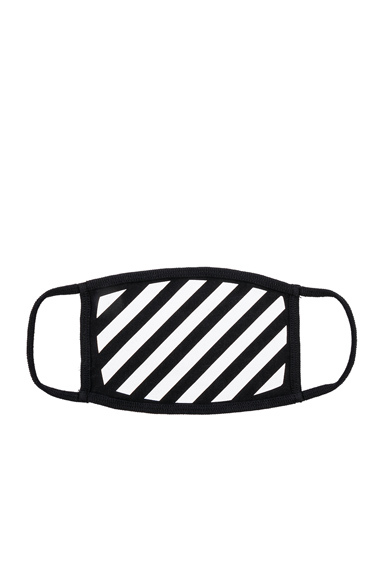 OFF-WHITE Diagonal Mask in Black,Stripes. OFF-WHITE Diagonal Mask in Black,Stripes. 100% cotton. Made in Portugal. Measures approx 10.5W x 5H. Elastic ear loop accents. OFFF-MA44. OMRG001R191850320110. 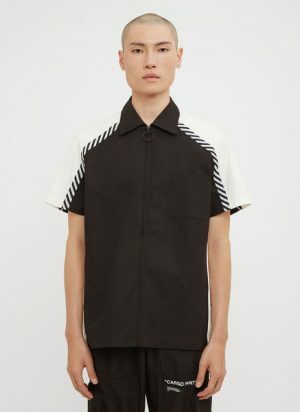 About the designer: While OFF-WHITE it is a natural extension of what was Pyrex Vision, Virgil Abloh's former line, OFF-WHITE is a full cut and sew line produced in Italy, and fills in that hard-to-find space where streetwear and fashion blend seamlessly. Abloh says, "It's not so much about brand-new. It's about the washed nature of clothes, the relaxedness. 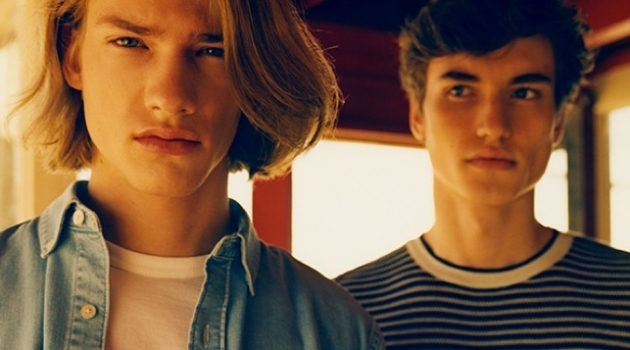 That's what I love, to bring a Ralph [Lauren] take back into streetwear. 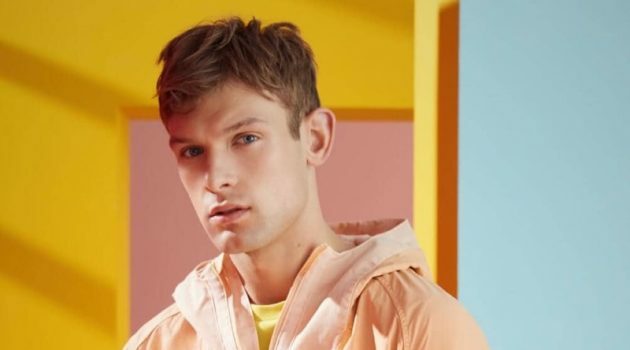 Streetwear is generally brand-new. 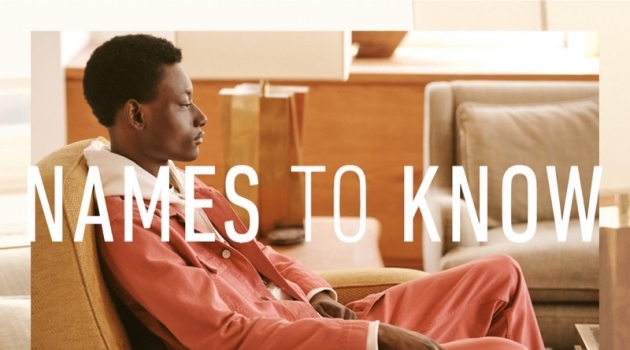 It's fresh out of the box, you wear it once, it becomes trendy, then you get rid of it." 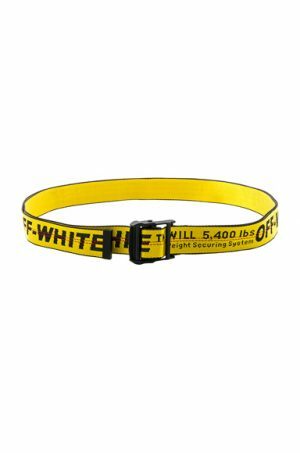 OFF-WHITE Industrial Belt in Yellow.